This week I am writing from the Qinghai-Tibetan Plateau in Western China, at 3600 metres above sea level. The Plateau is part of China’s pastoral zone where lifestyles are based on sheep and yak farming systems. I am here with three New Zealand colleagues from Lincoln University and AgResearch. Jim Moir is our soils specialist, Phil Rolston is our agronomy specialist, and Sharon (Xiaomeng) Lucock is our science and general translator who also helps co-ordinate the program. We are working with colleagues from Qinghai University, and also working with a commercial partner who processes yak milk into yoghurt which sells as far afield as Beijing and Shanghai. The zone that we are working in is part of the Sanjiangyuan (Source of Three Rivers) Ecological Zone with an area 25% larger than all of New Zealand. The winter lasts for more than six months and the growing season is limited to late May through to the end of September. 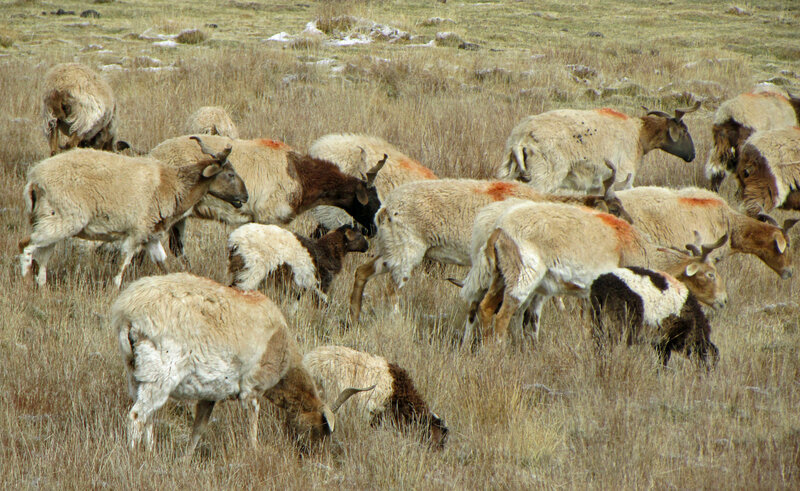 The sheep and the yaks survive the winter by storing large amounts of fat during the short summer. This not only provides insulation, it is also their inbuilt energy source to get them through the long winter when the grasslands are bare. Sheep can be more profitable than yaks, with mutton prices 25% higher than for yak meat, but the yaks are tougher than the sheep. So yak farming is less risky at altitudes above 3000 metres. Getting to the Plateau is quite some journey. From New Zealand we first flew to Hong Kong, then on to Xian, the home of the Terracotta Warriors. From there we flew to Xining, a rapidly expanding city of more than two million people at 2200 metres altitude on the edge of the Plateau. We spent two days and three nights there, working with Chinese colleagues and acclimatising. Then followed a six hour journey by road up onto the pastoral grasslands, most of which are above 3500 metres. Oxygen content is down about 35% compared to sea level, but the main adjustment needed is to the lower atmospheric pressure. This can lead to some bad headaches until the body adjusts. Down in Xining most of the population are of Han ethnicity which is China’s predominant ethnic group, together with smaller groups of Muslin Hui people and Tibetans. However, up on the Plateau the vast majority are Tibetan. The particular county of Henan where we are working was settled by Mongolian people in 1253AD, and is defined as a Mongol Autonomous County within the Huangnan Tibetan Autonomous Prefecture. However, almost all the locals speak Tibetan as their main language, wear Tibetan clothes, and are followers of the Tibetan Buddhist religion. The Chinese Government has been putting huge resources into infrastructure development on the Plateau. Cell phone coverage extends almost everywhere, and electricity is available in all of the villages and even out to many of the distant farm houses. However, all cooking and heating is still with dried dung. The stoves are similar to a coal burner, with a chimney out through the roof. The traditional lifestyles were nomadic, with families following the yaks between winter and summer pastures. Now, everyone has permanent housing, although in summer the farmers still take their yurts and tents to the higher altitude grazing lands. Retired folk now live in the towns. School-age children also live in the towns, either with their grandparents or as boarders in government facilities. The big challenge facing all of these communities is how to achieve sustainable production systems. In the last thirty years, the population has increased 35% despite many younger folk leaving for the cities. The regulations say that families should only have two children, but Beijing is far away and many still have three or four. 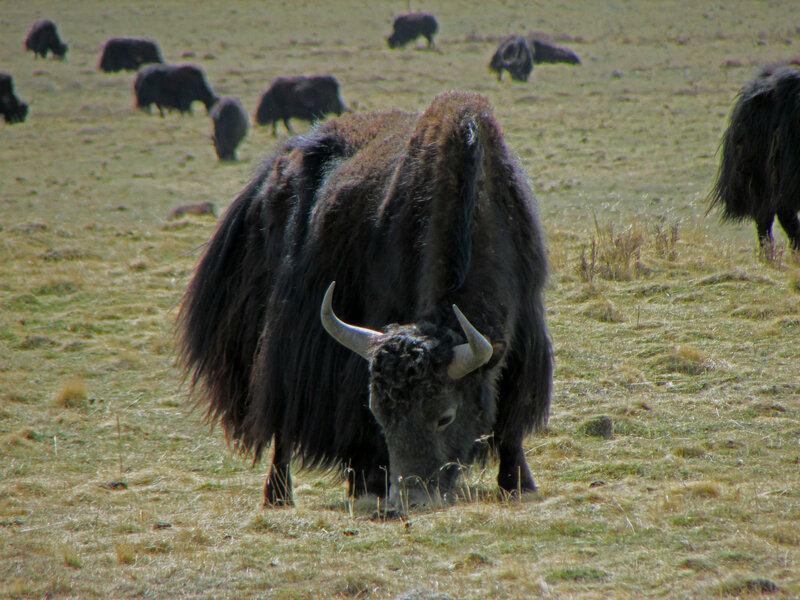 Grassland degradation is widespread and acknowledged. The Government has provided funds to subsidise a move to lower stocking rates but in reality livestock numbers have not reduced. As one local Governor said to us, most farmers have a lot more livestock than what they admit to having. One of the problems of the grasslands is that there are no clovers or other nitrogen-fixing legumes. Any nitrogen-fixing plant that is not toxic has not survived the grazing pressure. Without nitrogen-fixing plants, ongoing degradation is inevitable as long as livestock products are being taken from the grasslands. So a major objective of our work is to try and find some legumes that will survive in these harsh environments. On this trip we have been focusing first on understanding the agro-ecology, then collecting soil samples for analysis, and designing some initial trials of various legumes under a range of management systems. How the project will develop from here will depend both on our first stage results and our ability to attract funding for further work. What we already know, however, is that achieving grassland sustainability both here and elsewhere is a global issue of major importance to global sustainability. Something needs to be done. This entry was posted in Agribusiness, China, Meat Industry, The Fairfax SST Articles. Bookmark the permalink. A qualified ‘yes’. Everything needs adaption to that environment. There is nothing that can be transferred ‘off the shelf’. What a marvellous destination. Good luck with your mission.